Hotel Shreenath kathiyawadi is situated at Balicha Bypass Road,Transport Nagar, Udaipur provides accommodation as well as dining .All rooms in our hotel are well furnished and equipped with private en-suite bathroom facilities, Air conditioner, color TV, telephone, internet, ceiling fan and 24 hour rooms service. 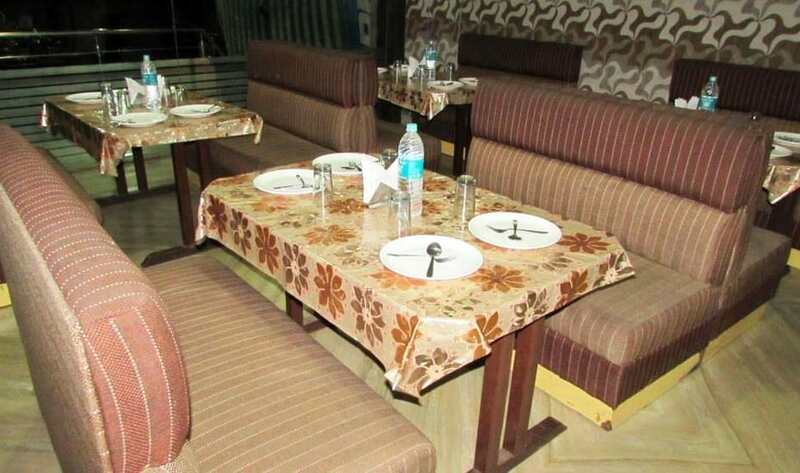 Hotel has a beautiful restaurant with 24 hour service and lift to all floors.We also provide various offers on hotel booking.One can plan a variety of events, at our hotel we offer our customers lunch, Kitty Parties, business lunch, anniversaries , conference meetings and other events. Doorman, Airport Transportation, Family/Child Friendly, Parking, Smoking Rooms, Backup Generator, Disabled Facilities, Doctor on Call, Catering, Concierge. Balcony / Terrace, Private Bathroom, Dustbins, Reading Lamps, Television Room, Iron/Ironing Board, Moisturiser, Child Care, Smoking Rooms, Desk. User reviews for "Shreenath Kathiyawadi Hotel Udaipur"